Congratulations! 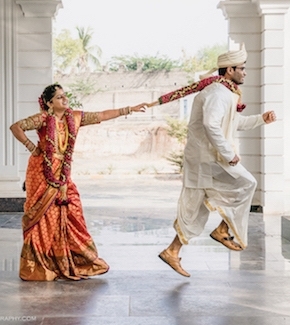 You have found the man of your dreams with whom you are going to get hitched in some time. 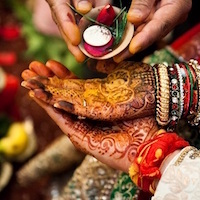 But getting hitched is not an easy task especially if you are the bride. Shopping comes in between which is a very challenging task. Choosing the right place for shopping becomes utmost important to find your dream lehenga. If you are one of those girls who will wear designer lehenga on her wedding, well, what’s better than the high-class Defence Colony which is the hub of the premium designer stores like The boutique of Rohit Bal. Excited? Let’s find out 7 Best Lehenga Stores in Defence Colony. The posh Defence Colony is a place that will surely provide you with the lehenga that you have always seen your favorite stars wearing in some grand wedding or other functions. The brothers Shantanu and Nikhil Mehra startrd this store after returning from America. This luxury brand is a perfect blend of contemporary and classical. This designer store has hues like pastels that dominate the lehengas. The price of lehengas start at 2.5 lakhs but it is worth it! Have a look at the bridal lehengas with unconventional shades like ivory, Gold and black. Well, too much to handle. We can’t go ahead without this name on the list. The Tarun Tahiliani store is known for its exquisite designs and sophisticated embellishments. Also, Tarun is the First Indian Designer to get an invitation from Milan Fashion Week. You can imagine the level of designer clothes he provides. This store has a collection of Lehengas which are inspired from Indian culture. Her ensembles are an epitome of ethereal beauty. The brides who love to adorn themselves with the traditional piece can try this store and the store will never disappoint you. Kisneel by Pam is a store in Defence Colony that have one of the best lehenga collections meant for occasions like reception and cocktail party. The lehengas are designed keeping in mind the modern brides who love subtle and delicate works on the lehengas. The lehengas in the store will steal your heart through its modern beauty. The price of the lehengas start from 80k but its worth its weight in gold. Frugal2Fab is for brides who love to keep things in the budget without compromising on the quality and standard. You will get jaw-dropping lehengas here which you will not be able to let go. 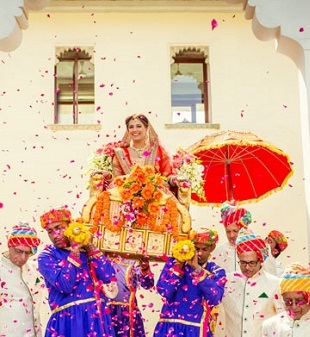 Look at the real bride adorned in the lehenga by Frugal2Fab. Isn’t she looking gorgeeous in the classy lavender ensemble? Rimple and Harpreet Narula provide the finest work lehengas that are of high grade. 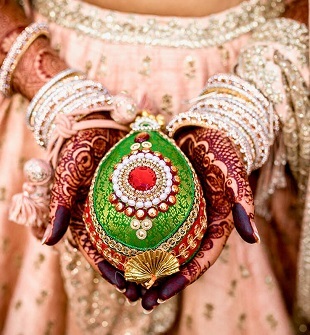 The traditional lehengas look heavenly and graceful. They are ones responsible for the costumes worn by Deepika Padukone in Padmavat. Have a look at the stunning red lehenga which is an excellent example of Indian Bridal collection. Tisha is by Tisha Saksena and her collection is inspired from the royal India that is crafted in a mod way. Remember the kind of outfits Maharanis used to wear? Something of that sort is what you will find here. You will love the collection of the lehengas at Tisha for sure. These amazing lehenga stores will never let you down. Before you conclude that you will never find the lehenga of your dreams, pay a visit to these stores and you will not be able to resist yourself from buying lehenga from them. You may feel that these lehenga stores are pricey which is true but do you think you are any less worthy of not wearing those lehengas. If you found the article helpful, give your suggestions in the comment section below and let us know which is your favorite lehenga store in Defence Colony. How to Be a Perfect life Partner?